Because the gaming industry is so fast-moving, it's a hotbed not only for exciting, welcome developments, but also some crushing disappointments. In 2010, we saw proof that certain projects can take on a life of their own -- in a negative sense -- and come back to bite the ones who have been spending so much time intending to deliver a good product. Also this year, an entire region was let down after its government reneged on a guarantee, and one major publisher might have missed out on an opportunity to make a statement about free speech and video games. As for the industry's digital sales, they're on the rise, but most are still almost completely in the dark as to the exact extent of their relevance. What can the industry learn from some of the biggest disappointments in 2010? As businesses move beyond boxed models, it's becoming increasingly unclear what's working in digital, what's not, and exactly how healthy or unhealthy this industry is. That's because we are still seeing very little in the way of online and digital sales figures, despite their increasing relevance. Many companies continue to shroud online sales in mystery. We're able to determine the performance for some digital and online games through things like online leaderboards. And when a company like Activision sells millions of units of a map pack, publishers are happy to brag. Some indies are also quick to share their sales figures with the world, whether or not their games were huge hits, and publishers sometimes break out their digital revenues. But meanwhile, NPD Group's monthly (scaled back) U.S. boxed game-focused video game report shows that November was the first month of sales growth since March this year in the U.S. That reflects seven months of retail game losses following a down 2009 in the U.S.
We just wonder how much better the industry would today look if we actually had more digital transparency from game makers. As the first Final Fantasy MMORPG since 2002's Final Fantasy XI, Final Fantasy XIV was supposed to be the game that brought the beloved RPG universe into the next generation of MMOs. Instead, FFXIV's launch has turned out to be a massively multiplayer online blunder. The Windows PC version launched on September 30, and early adopters have been greeted with stability, performance and functionality issues, problems that developer and publisher Square Enix is apparently working around the clock to fix. The game's problems were serious enough to lead Square Enix to extend the game's free 30-day trial period twice in order to appease players. Last week, the company restructured the game's development team, bumping the producer down to a supporting role and bringing in staff from other projects to take over. And to top it off, Square, probably wisely, decided to delay the launch of the PlayStation 3 version of the game out of March 2011 and into the next fiscal year. Really, there was only one other MMO launch in 2010 that was more disappointing than that of Final Fantasy XIV. There are two tiers of disappointment regarding the Medal of Honor "Taliban" standoff from earlier this year: the controversy itself and Electronic Arts' response to it. October's Medal of Honor franchise reboot is set in Afghanistan, where the militant Taliban group operates. Naturally, EA, focused on delivering a more realistic war game, decided that it would make sense to have multiplayer modes that pit allied forces against the Taliban. But after word got out that gamers would be able to take the side of the virtual Taliban and frag virtual allied troops, the mainstream media, military and outspoken friends and family of fallen soldiers decried the real-world setting of the game and gamers' ability to take on the role of Taliban fighters. It was disappointing to see that once again, the video game industry was being singled out from other forms of entertainment for acknowledging real-world events such as war. While films like Green Zone and The Hurt Locker have provided entertainment about war and death to flocks of popcorn-chomping moviegoers, some groups still find that the interactive nature of video games is enough reason to declare that games shouldn't touch on similar realistic subject matter or scenarios. It was also disappointing to see industry juggernaut EA cave to what seemed to be a vocal minority. The publisher, prior to Medal of Honor's release, changed the Taliban faction in multiplayer to the more generic "Opposing Force." It's debatable whether or not it was a wise commercial decision in the first place to give players control over a group labeled "Taliban" in a modern war game. But the issue goes deeper than that -- this controversy happened in a year when the games industry was readying to fight for its First Amendment rights before the Supreme Court. Game designer and author Ian Bogost was frank when he said EA's dismissal of the importance of the "Taliban" label in Medal of Honor was one of "commercial political convenience." Following years of lobbying by UK-based video game industry advocates, the UK government in March this year said it would include tax breaks for video game developers in its budget for 2010. But efforts by the UK video game industry to make the region more hospitable to current and potential game companies were dashed in June, when Chancellor George Osborne decided tax breaks for the industry were "poorly targeted," and too narrowly focused on a single industry. The renege was a blow to the morale of those who see greater potential in the UK game industry. The effects of insufficient tax breaks in the region already seem to be taking hold: There is a slow but sure migration of talent from the UK to more game-friendly nations like Canada, and the UK game industry employs 9 percent fewer people than it did in 2008. The bad news on the UK tax breaks front may continue into 2011 and beyond. Just this month, UK Minister for Culture, Communications and Creative Industries Ed Vaizey said if the industry pushes solely for tax breaks, it "could mean a hiatus for three or four years [or more] before it realistically comes back onto the table." Realtime Worlds had a lot going for it. Headed up by industry icon and original Grand Theft Auto and Lemmings creator Dave Jones, the Dundee, Scotland game studio had an experienced management staff, a fun-focused game design mentality and a creative leader with a knack for raising tens of millions of dollars of venture capital. With the 2007 release of the open world Xbox 360 action game Crackdown, the rapidly-growing Realtime showed big promise. The next game on the slate, APB, was supposed to fully realize the creative and commercial potential of the talented studio. 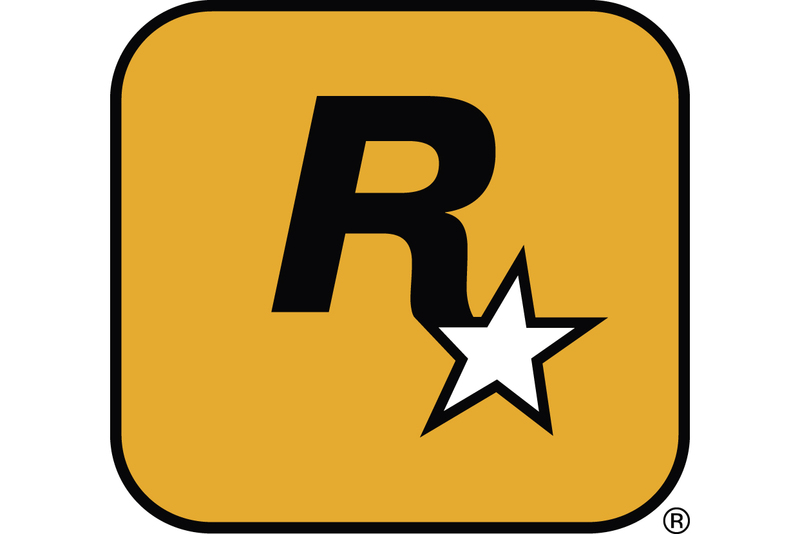 But in 2010, the much-delayed launch of the MMO cops vs. robbers action game All Points Bulletin marked the studio's undoing. After years of development and tens of millions of dollars invested, the game launched in late June, and was a genuine commercial bust by mid-September. APB went offline in dramatic fashion as Realtime went into administration, shedding nearly 300 jobs, a substantial blow to a region whose influence was already slipping in the global games industry. The studio shuttered as another formerly secret project, MyWorld, was picked up by ex-Realtime Worlds chair Ian Hetherington. In 2010, Realtime's demise exemplified the risk involved in investing tens of millions of dollars into a massive online retail game -- still a common business model. Perhaps Realtime's collapse wouldn't have been so disappointing if expectations for the studio weren't so high.